Hal Becker is a sales trainer in Akron, Ohio, with nationally recognized accomplishments. Becker is not only an extremely successful trainer in sales but also a widely known author and public speaker. He is the author of book Can I Have Five Minutes of Your Time? Many corporations recognize this book as their Sales Bible. Becker also wrote three other best sellers: Lip Service, Get What You Want and his latest title the Ultimate Sales Book. Additionally, Becker has been featured in publications such as Wall Street Journal and Nations Business as well as radio and TV stations around the world. Writing is not the only field where Becker excels, however. Becker is also a professional speaker and is currently giving speeches and lectures around the world, as seen in the photo above. He has given countless speeches on sales, customer service, and negotiation. Becker encourages sales teams everywhere to become motivated for phenomenal performance through time-proven sales strategies. At the young age of 22, Becker became the number one salesperson in a sales force of 11,000 for the Xerox Corporation. He then founded and became the CEO of Direct Opinions, creating one of America’s first customer service telemarketing firms, just months after surviving terminal cancer. Direct Opinions has grown to facilitate more than two million calls per year. After his triumph over cancer, he then founded the non-profit organization Cancer Hotline. Becker donates his book profits to help this organization provide support and assistance for cancer patients and their families. In 1990, Becker sold Direct Opinions and began focusing on the pursuit of his goals in public speaking. Hal Becker is an incredibly distinguished sales trainer in Akron, Ohio, the United States, and the world. 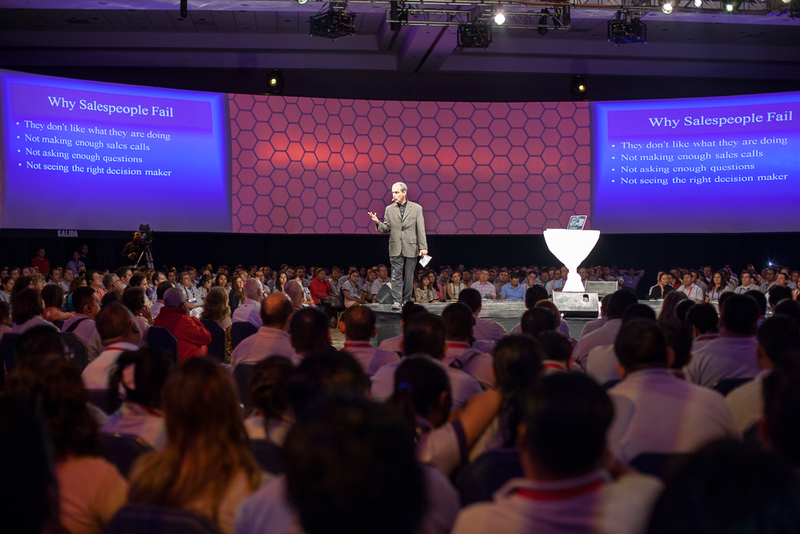 He has trained over 700,000 people in the art of sales in the past 30 years. Becker also leads sales seminars for more than 140 companies and organizations per year, and Salesguru.net put him in the World’s Top 30 Professional Sales Trainers. Becker is also a Certified Professional Speaker (CSP). This is the Nation Speaker Association’s highest level designation, and less than 500 people have received it in the past 25 years; furthermore, most significant award Becker has received is Toastmasters International Communication and Leadership Award. He is one of only eight people in the world to ever receive this award. The Becker Group also has a long history with many large-scale clients. These clients include Verizon, AT&T, IBM, and even Disney among a multitude of others. Hal Becker’s generous actions and experience speak for themselves. Any salesperson could benefit from attending one of his seminars. Those lucky enough to hear him speak will attest to his knowledge and expertise. Companies in need of a sales trainer in Akron, Ohio, could boost their sales teams’ productivity through everything Hal Becker has to teach.